Card Counting is a rather useful strategy which can help a player to beat a casino for sure; it is difficult to overestimate the importance of blackjack card counting as it really works and is considered to be completely legal to use. Casinos use up to 8 decks of cards to prevent counting. When you hear that it is very difficult to count cards and only a genius mathematician can do it, do not believe this myth because when you count cards you should not memorize them. Every card has its point score and everything that a card counter needs to do is to deduce a total score which is called to be "a count". So, the conclusion is that card counting is only about adding or sometimes subtraction (if you use some specific strategy). 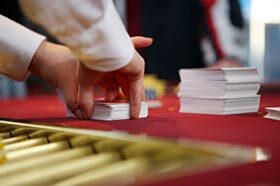 In about 100 different card counting strategies can be found and it is rather difficult to choose the right or the only one of them to follow and use. If you are a beginner at the game of blackjack, it is highly recommended to use basic systems and not to learn any complicated counting systems at once as it can be very difficult to understand and remember them. You are welcome to get acquainted with some popular systems of card counting and choose the best one for yourself. All cards of a deck have their own value which can be positive, negative or zero one. Usually, the cards of law value (2-6's for example) are counted as positive because they increase the presence of high value cards in a deck; and the cards of high value are counted as negative. Different counting systems have a little bit different variations of such card values. 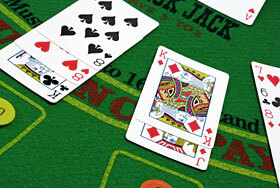 Hi-Lo is the simplest card counting strategy often used by the beginners and neglected by the professionals. In this system each card is assigned a special value of either -1, +1 or 0. Remember to keep track of all the cards dealt at the table. This is the easiest strategy which is often used by novices and ignored by skillful blackjack players. You start counting cards with every new shuffle by adding or subtracting 1 point with every new card you see. When the count is rather high you should increase your bet as it means that only high cards are left in a deck. The difference between Hi Lo system and KO lies in the fact that KO assigns 7s with +1 value and since there are four 7s in the deck, the final count of a deck is a 4 and not zero. It is this added value that eliminates the need to convert running count into true count. So all you need to count cards using KO system is to keep the running count. As we can see, there are some noticeable differences in cards values if compare this counting system with two previous ones; anyway, it can be very useful for a player if playing blackjack. The main point of this strategy: the more Aces have been already used during a game - the less chances for a winning a player has. Hi-Opt I strategy is great to use when you play a single-deck blackjack game but this variant is very rare to meet today. As we can see, this counting strategy is more complicated that all previous ones, and it is easy to understand this fact when looking at the table of its card values at first. It is very important to learn and practice all of them: the final count should be zero. The point of Hi-Opt 2 counting system is to make your running count become the true count: in order to do that you should divide your running count by estimated number of decks which are left in the shoe. Example: the running count is +6 and 4 decks are left. You divide +8 by 4 and the true count will be +2 in this case. Your chances to win and beat a dealer become higher with a higher true count you have, because it means that many cards of high values are left. So, you are welcome to increase your bet when you see such a situation.